what maps should be at stops and stations? The maps have many defenders, however, so I should expand on why Datu's polemic resonates with me. First of all, of course, the London maps only make sense at all in a network where all bus lines can be assumed to be frequent. That's true in inner London but not in many of the systems that imitate it. If we show the customer a big, bright line direct from their location to their destination, we're conveying an impression of physical existence. The bright line looks like a physical thing, like a road, not just the site of an occasional service event. 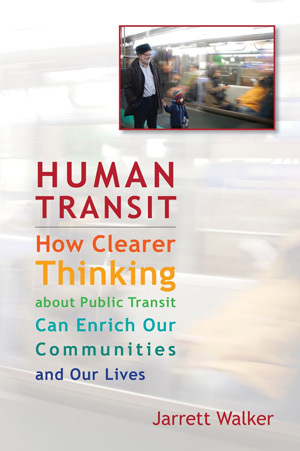 The whole point of Frequent Network mapping, of frequent buses and rapid transit, is that we want people to make exactly that association, to see frequent services as always there ready for them to use. But when we use such a bright line to refer to an hourly or peak-only or nighttime-only service, we undermine that message and give a misleading impression. Strong lines on the map suggest continuous existence on analogy with rapid transit lines, but these infrequent and short-span lines don't exist most of the time. They are probably not there when you need them. All that, of course, is part of the case for transit maps that reflect frequency/span categories, both emphasising frequent and long-span services and specifically de-emphasising ephemeral ones like peak-only or night-only services. But there's a more specific issue with spider maps or "buses from here" maps. They promote single-seat rides while concealing connection opportunities. More generally, they discourage people from discovering how to navigate the complete network. There are contexts where this is fine. At an outer suburban station where the only bus services are local circulators and links to a few nearby suburbs, the "spider map" allows the customer to see the complete local network without having to find it in a massive map of the whole system. A Frequent Network map for the entire city (or if the city is as big as London, maybe a large subarea of the city). This map would have a prominent "you are here" mark, but its function would to say "here's everywhere you can go from here, on service that's available right now." (You could simplify this map by deleting some Frequent services that would not conceivably be useful on any possible trip from "here," but if you think broadly there usually aren't many of those.) This map would also convey a very useful subliminal message: "here is where you are in your city, and in your network." At least for spatial navigators, this map has a useful long-term value in helping people internalize the network so that they can navigate it more freely and spontaneously in the future. A local area map, showing all routes emanating from "here" (or perhaps all routes with those from "here" highlighted) but just out to a radius of several km. The ideal radius is the distance beyond which you should usually be looking for rapid line, possibly with a connection, rather than a local bus line from "here." The local area map should be strongly coded to highlight Frequent services and downplay peak-only and other short-span services. This approach would not lead the customer as precisely as a spider map or "buses from here" map does, but nor would it mislead the customer as much as those maps can sometimes do. Sometimes, the fastest way to get from here to there involves making a connection, but the connection may be very easy and very frequent, and we should resist mapping styles that conceal those opportunities. That's my instinct, but maybe it's just my prejudice. What do you think? 24 Responses to what maps should be at stops and stations? I would feel stymied if all I had was that “spider map”. Not knowing all the ins and outs, the other options (including walking) and connections would be like being stranded on an island. So, I guess I’m with you on this. Your point about the spider maps promoting single-seat rides doesn’t really apply in London, as by using the Tube for the first part of your journey and then transferring to a bus you’re already making a transfer. If you need to take two buses to complete your journey you probably got off at the wrong Tube station. While I lived in London I never found these spider maps useful as I always lived within walking distance of a Tube station, and there are very few destinations in central London which are not in walking distance of a Tube station. Occasionally I would have to use National Rail or the DLR (light rail) to complete my journey, but I only ever needed buses when the Tube was closed, either for maintenance or because it was late at night. On those occasions I would have already planned my bus journey in advance. I think any kind of map is better than no map at all. A so-called spider map would be a welcome addition to every bus stop I’ve ever waited at. I’d be curious to hear your take on the rest of the post, which talked about the way London’s Underground map is misleading about on-the-ground realities even while it simplifies the overall network. I agree with the point that the bus network in London is only part of a much larger system. The buses (and there are over 7000 of them on 800 lines (not including the NightBus network, which is extensive)cary 6 million people per day. There are also over 750 stations in London, 270 served by the Underground (carrying around 3 million people per day) and the rest by a dense network of frequent trains and trams, carry another 3 million people per day. So I agree that in London rarely will you be looking to connect from bus to bus, with the exception of the NightBuses, which operate after the trains and underground stop running. So the London Spider maps really do work as Jarrett suggested – come out of the station, get your bus to your final destination. 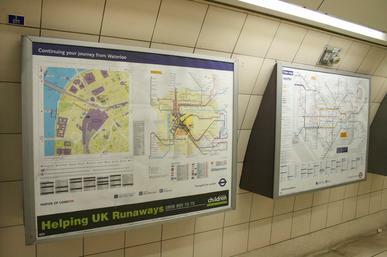 The Spider maps are just one of many products Transport for London uses to help people find their way. The network of underground, trains and buses is confusing and cannot be easily shown on a single map (even if that map is divided in the sections of the city). The Beck map shows the tube, a modified version shows all of London’s rail services. Then there are the bus maps. Tram maps. And the mobile device route finding software. Personally, I wouldn’t use the spider maps – not my style. I’d use the bus maps and find my own journey – but then, that’s what I’m used to in the absence of any other method in the place I live. London has some unique circumstances. First of all everyone including tourists knows the Tube and it will usually be the first choice. When navigating from one part of London to another part one will refer to the Tube map or a more extensive rail map. Even the more limited Tube map also includes the DLR and London Overground. So the default case is to make a trip with connections and there is no need to encourage this. The second main issue is that large parts of the London rail network are severely overcrowded. This means that TfL actually wants to encourage people to take buses to alleviate overcrowding on the rail system. They are working on adding capacity, but it takes a lot of time and money. I could still see use for separating frequent and infrequent services on the spider maps. Especially in the context of encouraging more passengers to take the bus instead of rail. For a large city I would say three or four maps are needed for the number of scales needed. 1. A schematic-style frequent network map covering the whole metropolitan region. 7-day services operating until late would be shown as continuous lines. Weekday only routes that otherwise meet frequency standards could be dashed lines. In the very largest of cities you either show all frequent routes for a large section or you introduce another criteria – speed – but retain coverage of the entire metropolitan area. Hence you’d keep your train, light rail and segregated busways but not the local buses (even those running frequently). Yes you may still want to catch one of those buses some distance away but you will have passed through an interchange that’s closer that do map these. 2. Local area map. A geographically representational rather than schematic map covering all streets 5 to 8 km from the interchange. Similar to a page of a street directory with routes overlaid. Shows all public transport routes (or at least those running full time). To maintain continuity with 1. above, frequent service routes have a yellow surround – similar to the effect of running a highlighter pen over the map. Ideally an index to streets would be provided – this looks after those walking to their destination. 3. A local precinct map that for larger stations includes details of entrances, exits and bus interchanges. And beyond that possibly the surrounding shopping community facilities within 10-15 min walk. An inset may have bay numbers listing routes for any local bus interchange or on-street stops. 4. Because we’re used to it, the traditional single mode map, for the train system or tram system only. Schematic style. This map is the most used on our network today, but of the maps may be the least important. The problem, @Jarrett, with your “Frequent Network Map”, as hinted at in other comments, is that to be meaningful it would need to include Tube, DLR and commuter rail (Overground) – which would make it far too complex. I’ve not been in London for a while – and don’t have relevant photos. But my recollection is that many stops, at least in central London, have other maps displayed as well as Spider Maps. Can anyone confirm? I do, however, think that Spider maps could be improved by addition of journey times “from here”. Though this info is on the route timetables, which are at every stop too (you can download these at the tfl website – e.g. http://journeyplanner.tfl.gov.uk/user/AHF/TLJJP07P1__00001a3f.pdf . First, I might be mistaken, but don’t the Tube and London Buses have different fare structures with no low cost transfers between them? That would suggest that most people would be using all bus or all rail. Second, the London bus network is fantastically complicated, with tons of bus routes going in all directions, which is typical of network situations where the aim is to provide as many one seat rides as possible. I don’t see how possibly, with the current route configuration, that you could present the London bus network map in a simple way. Tourists will avoid the bus because it’s too complicated. Like Alan Howes, I’ve not been in London for a while – but when I was they had network maps displayed as well as spider maps, even in outer London. Indeed the network maps were more common, as they had them at many of the stops that were only on one or two routes and therefore didn’t have spider maps, as well as at the stops which did. And there’s another reason why the frequent route map is a non starter: in inner London nearly all the routes run frequently anyway. In Outer London the infrequent routes, which are still in the minority, run to places that the frequent ones don’t, so are still needed on the map. And London has been pretty good at implementing Countdown at bus stops, so passengers know which buses are coming and when. Chris – you’re half right. Fares on the Tube (and other trains in London) are high, but travelcards (which combine train and bus validity) were very popular and Oyster Cards took this a stage further by automatically capping fares without the need to decide in advance. And though it’s a lot cheaper if you stick to buses, it’s also much slower over long distances. One big problem I have with spider maps is that they are only useful for telling you how to get around by transit and are completely useless for comparing transit with other modes. For example, if you want to Holborn to Holborn Red Lion square, the map does tell you that you can get there by bus 55 or 243. But it doesn’t tell if the distance is short enough for you to just walk, let alone which route to take if you did decide to walk. Finally, your actual destination is usually a place other than a station itself. With a spider map, any non-station destination won’t be on the map at all and you will be left completely clueless how to get there. That being said, I do like the idea of spider maps on board buses and trains because they are a very concise way of helping you figure out when it’s almost time to get off. But in other places, I’d greatly prefer real maps, showing roads, destinations and, of course, drawn to scale. I’d defend the spider maps – they are a good combination of the accurate at the local scale (and often very complex setups of different stops) and diagrammatic at a distance, to show where you CAN get to from where you are. All of the London bus system is simply too much to try and convey on paper at each stop. First, I can assure @Chris that most regular transit users in London do use both bus and rail. Oyster’s the answer – but even back in the ’60s and ’70s when I did live there (in different inner suburbs), my regular commute often involved tube and bus – e.g. to Abbey Road, probably London’s best known destination without a tube station. But my main point – surely anyone visiting a new city, particularly those involved in transit, accepts you have to invest a bit of time and effort in “spatial navigation”. Starting with getting hold of a street map and relevant transit maps. It shouldn’t take 6 months to find your way around! You can’t expect the transit agency to provide everything you need at the stop. They have to strike a difficult balance between confirmatory messages for regular users, and material aimed at complete newbies with varying abilities in processing different types of information. Of course, a lot of the time, what a transit agency ends up posting isn’t what’s best but what’s affordable. Incidentally, the Spider Maps are produced by T-Kartor, a Swedish-based group. I have a 3-page pdf product presentation by them, showing a variety of transit map styles. I consider their stuff pretty good. Though not sure how you could contact me via this blog. 1. Who is the learner (the target population), that is, what does the learner bring to the table in the form of existing skills and knowledge? 2. What is the objective of this training? (For example, at the end of this training, the successful learner will be able to insert an intravenous drip line properly.) Note that the example does not say “know how to insert”. Rather, the learner must be able to insert, as demonstrated through some practical exercise. Maps are training materials. And different maps are designed for different learners and to meet different objectives. In this context, consider the “spider” maps and similar “you are here” maps often found at transit stations. The purpose of these maps is to assist those who have already begun their journeys. Put another way, the person who uses such a map has, in most cases, already chosen to take transit to a particular transit stop/station in order either to make a transit (or auto/taxi or bicycle) connection to continue his/her journey or to walk to a location in the neighborhood of the transit station. Somebody or something (a different map, a guidebook, a computerized trip planner, etc.) has suggested to this person to ride transit to this station as the appropriate way to reach his/her destination. So, the person arrives at the station. What does he/she do now? The purpose of the “you are here” type map is to help this person find the appropriate exit to use from the transit station, the boarding location for the connecting transit service, the pick-up point for those connecting to an auto, the taxi stand, the bicycle rental location, or the path to walk to get to the appropriate neighborhood address. On this basis, I would argue that the London “spider” maps meet their primary objectives. There are, of course, situations where more information would be helpful and I have encountered them in my travels. But those situations are rare. Journeys are usually planned before one starts out and the “you are here” maps make those journeys easier but are not designed for journey creations. So you could say that my resistance to spider maps reflects a desire to train the customer differently, just as all businesses attempt to train their customers. Of course I want the customer to get where she's going, but I also want her to discover that there is a simple, legible network of major services that she can count on for many of life's purposes, and that's so simple she can gradually, effortlessly commit some of it to memory just by seeing diagrams of it over and over. The mapping scheme that I propose in my post is simply a way of navigating here while also helping her see the network, so the grows more confident in transit's ability to serve many trips, not just this one. Having lived in London for 12 years, I’ve got to say that I really appreciate the spider maps. They have been the only version that makes planning where you want to go amid the morass of bus routes relatively straightforward, but do require some basic sense of where you want to go. And it does take a fair bit of time to learn how to optimise your journeys (the trade-offs between price, seeing things and journey times). As an example, you might shave off a couple of minutes by taking the tube (with one transfer) from Angel (north-east, near the zone 1-2 boundary) to the West End, but it’s almost as fast, about 40% cheaper, and more pleasant to take a bus. Both the 73 and 38 do this via different routes, and both terminate at Victoria rail station – however, I would never take the bus all the way to Victoria as the time penalty is too great. There are system wide maps, but it’s an eye-straining exercise in trying to connect the dots, and it’s equally difficult to work out a route that involves transferring between buses. I think the spider maps are much more aimed at Londoners rather than tourists, and that’s fair enough – the vast majority of riders are Londoners, and the instinct of tourists (in any city) is always to go for the first-order transit system, in this case the Underground, even if the bus system was made as simple to follow as possible. And even for Londoners, if you need to cross the congested city centre, it usually makes far more sense to take the tube, even if you’re taking buses at either end. – why would anyone who isn’t staying in Clerkenwell go to Farringdon station from either of the airports he mentions? If you were coming from Luton, the obvious thing is to transfer to the tube or a bus at King’s Cross. From Gatwick, you’d either go to London Bridge or Victoria, and likewise catch a tube or bus – they are major interchanges, Farringdon is not. 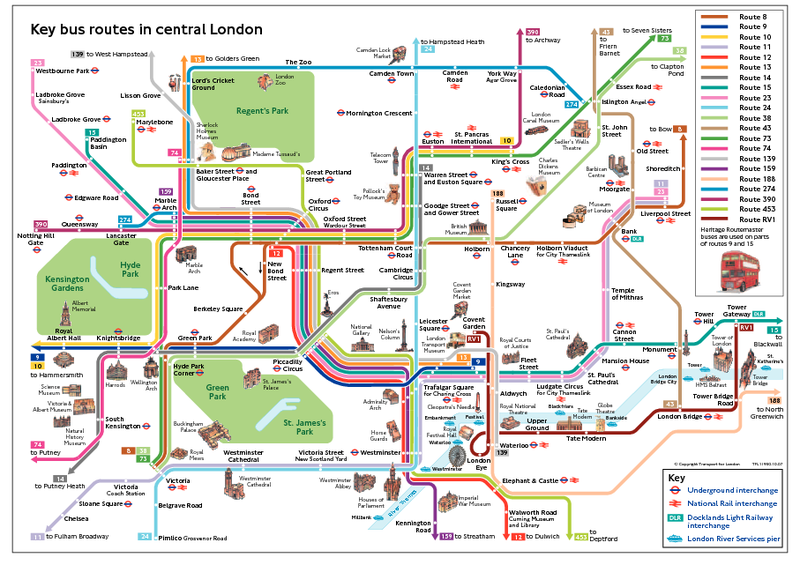 – there is indeed a tourist version of the bus map showing landmarks (in addition to the Central London map I linked to above), which I think you can pick up at most central tube stations and tourist info centres. Prior to working in the public transit sector, I worked in Personnel Training for 14 years. One thing that I quickly learned is that there is no single way that people learn. Different people learn in different ways. For example, some people are more spatial than others and will respond to spatial cues and learning devices better than people who are non-spatial, a point made on this blog on a number of occasions. Thus, the “ways people learn” consideration has to be part of the design of maps and other information material at stations, on the internet, and in other places. I would argue, however, that there is a need for multiple maps to be posted in larger, complex transit systems, if for no other reason than clarity. In this sense, I think we are on the same page. There needs to be a system or large area map (if the entire system is too large to present at a legible scale) posted adjacent to the “spider” or “you are here” type map. Ideally (and I admit my former employer failed in this regard), the large area map would be available in many formats – on the web, in a fold out form to keep at home or use when traveling, and at stations to confirm your trip as needed (and to provide “reading material”, that is, exposure through exploration, while waiting for the transit vehicle). The “spider” maps address a different learner (or different learner objective) than the frequent system maps. The “spider” maps address the learner who has already made the commitment to a particular trip using a particular routing determined prior to beginning the trip. This person has already determined (learned) that this routing will help her/him obtain the objective of getting to a particular place at a particular time, provided he/she can find the way to continue the journey at a transit location about which he/she is not familiar. A good “spider” or “you are here” map does that well; a network map does not. @Steve. I've seen so few really good network maps that I'm not sure any of us can verify that. Paris I think comes close. I do agree that there are many kinds of learning, and the problem is difficult. It’s great when a city transit system has any maps so we can argue about how to make them better. In Washington DC the bus system map is treated as a classified document! Most of the (actually quite good) new shelters have no map at all — and some downtown have the magnificent absurdity of a map showing street names but nothing about either buses or subways. Home › Legibility › London › Maps › Navigation › what maps should be at stops and stations?